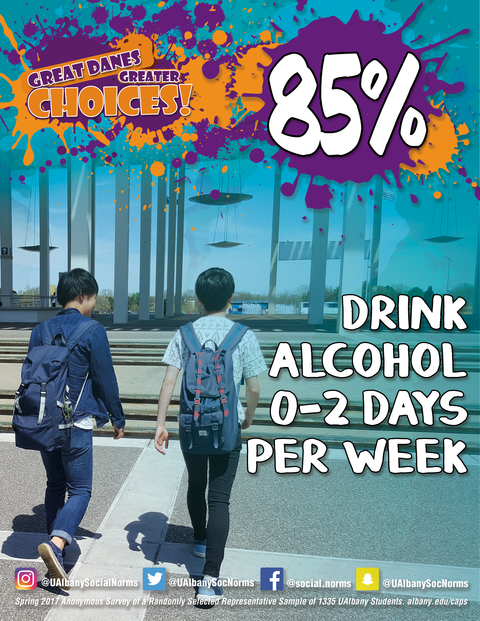 The Center for Behavioral Health Promotion and Applied Research promotes the behavioral health of University at Albany students by advancing innovative, evidence-based practices that address alcohol and other drug use, mental health promotion, and positive psychology, thereby enhancing the academic and personal success of our diverse student body. The Center engages in translational research, as well as teaching and supervision of undergraduate, graduate, and postgraduate trainees. The 36th Annual Sexuality Month program has been released. 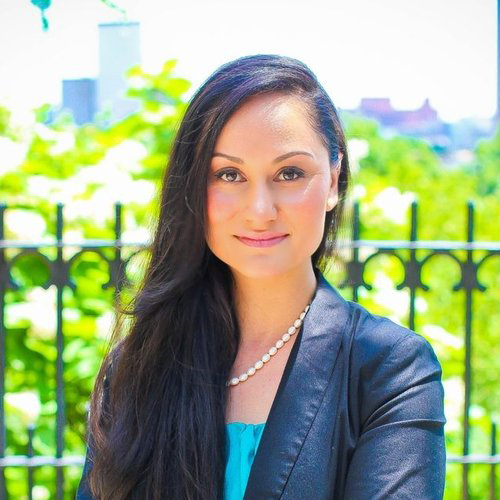 This year's keynote speaker is Carmen Perez, Co-Chair of the Woment's March on Washington. 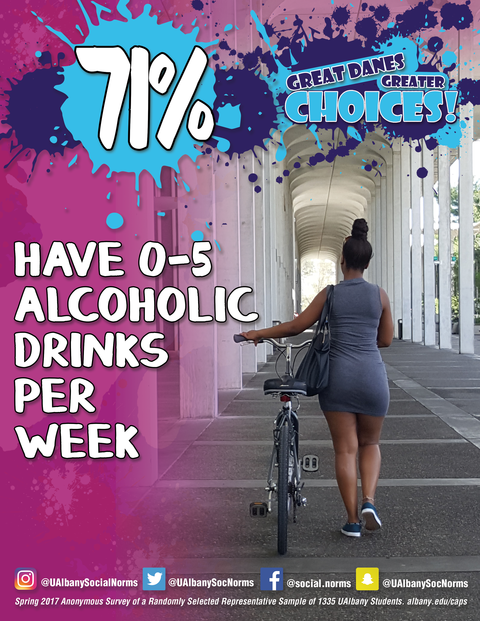 Two new Social Norms posters have made their way across the UAlbany campus. 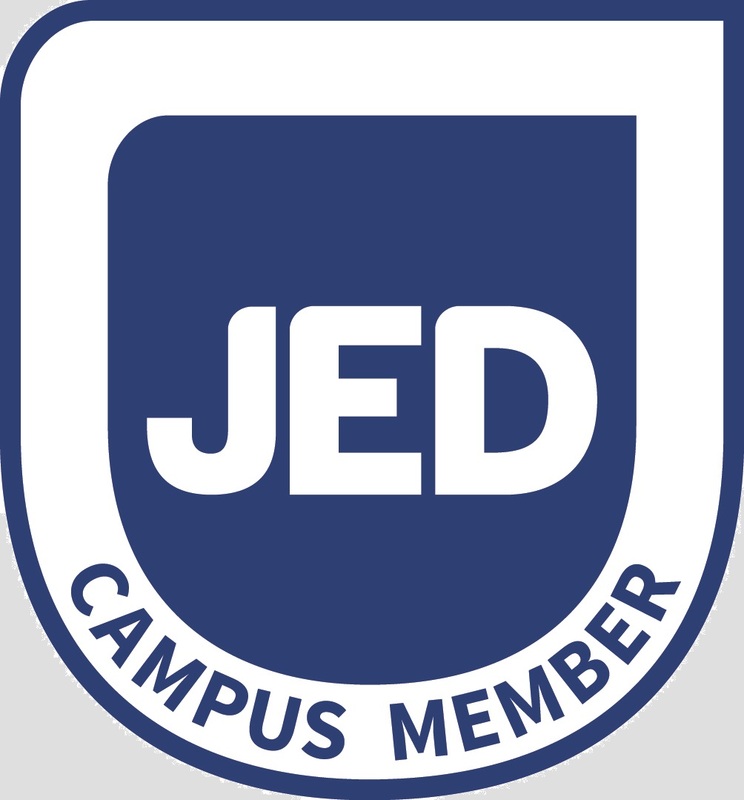 Visit JED Campus Website to learn more.